Make Your Reservation at rbg Clarion for Christmas Eve, Christmas Day, or Christmas Evening! 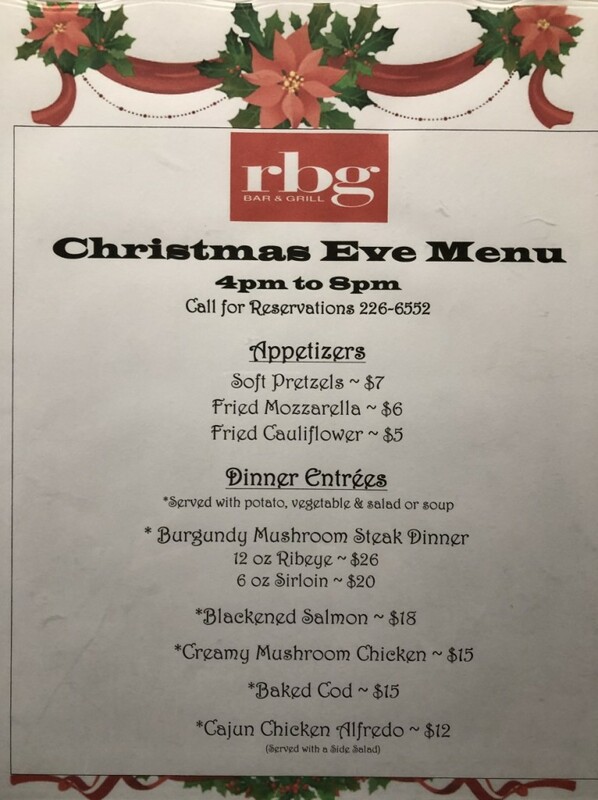 CLARION, Pa. (EYT) – Rbg Clarion is offering Christmas Eve, Christmas Day, and Christmas Evening meals. 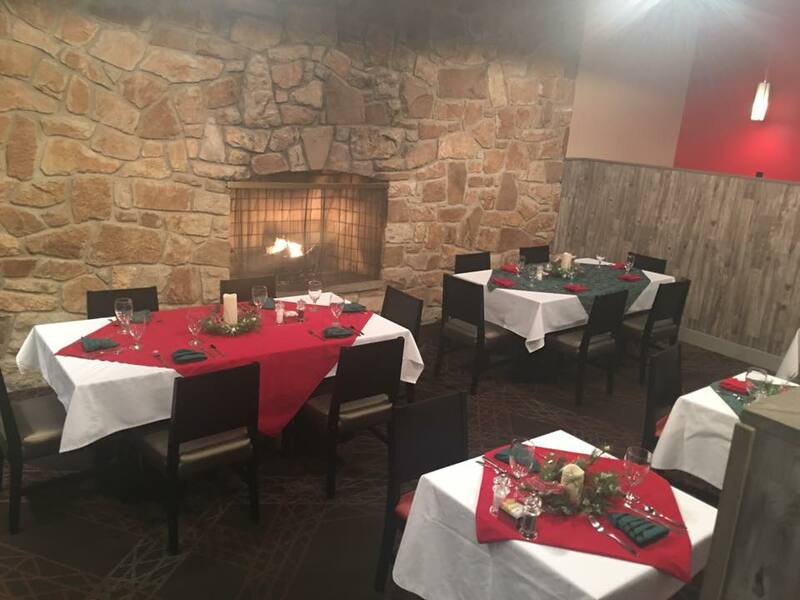 Christmas season is here, call 814-226-6552 to make your reservations today! Christmas Eve, December 24, 2018. 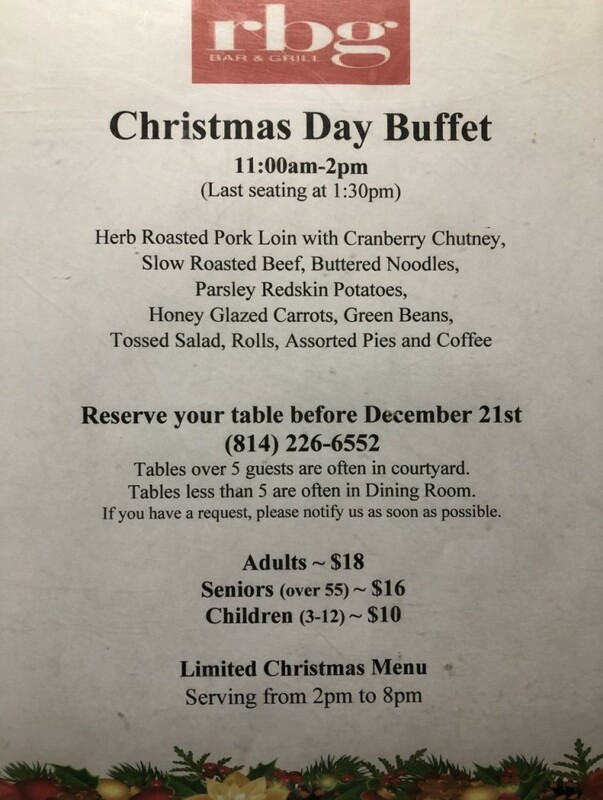 Christmas Day, December 25, 2018. 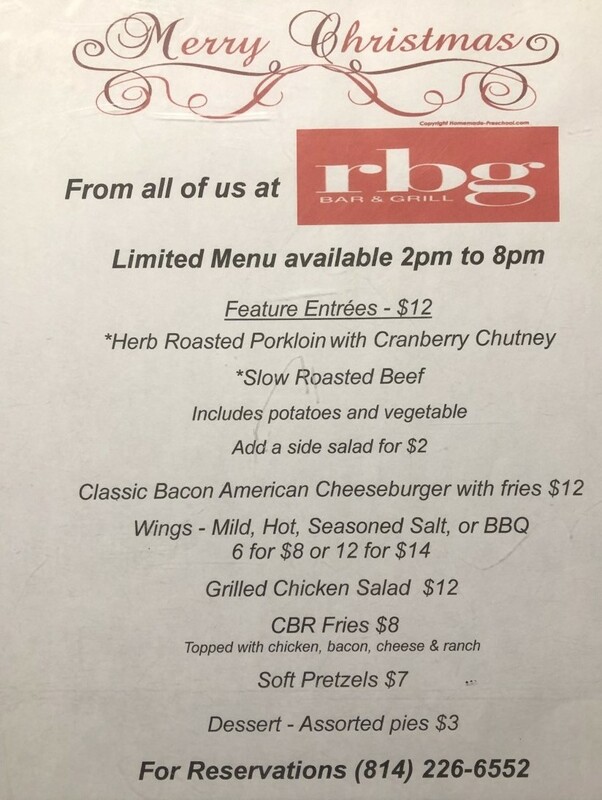 Christmas Evening, December 25, 2018.
rbg Clarion is located at 45 Holiday Inn Road, Clarion, Pa.
For more information, call 814-226-6552 or visit their Facebook page here.